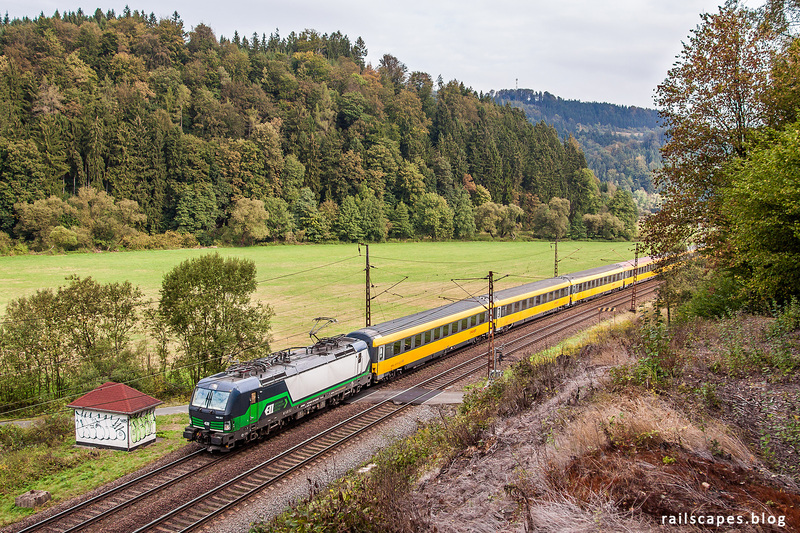 North of Ceska Trebova, the railway lines curves throught a beautiful valley. It was harder to expect to make photos here, but I managed to get a few. Still in the shade, ELL Vectron 193 227 hauls a RegioJet train from Prague to Kosice.